We meet every other Tuesday at the Commonwealth Club of California in San Francisco. This is right nextdoor to the Montgomery St BART Stationn. 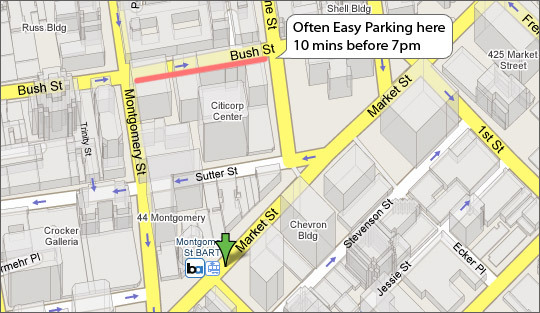 If you are coming by car, there is usually easy street parking just before 7pm on the right side of Bush Street just before Sansome St.